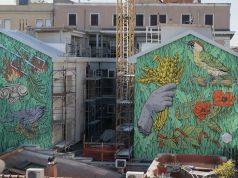 Blu confronts themes of inequality and social injustice in new Rome mural. 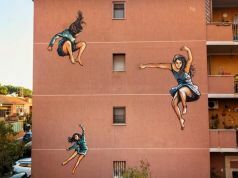 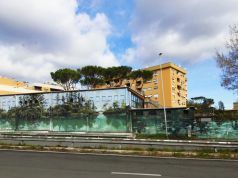 The celebrated Bolognese street artist Blu has created a giant mural on the gable end of a social housing block in the north-east Rome suburb of Rebibbia, already home to several large-scale Blu works. 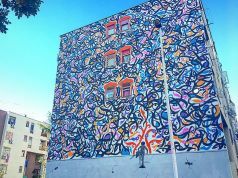 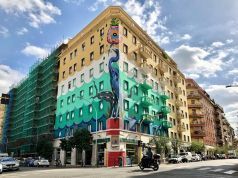 Located on Via Ciciliano and entitled Cápita, the mural depicts a seemingly happy scene of colourful water slides at an amusement park. 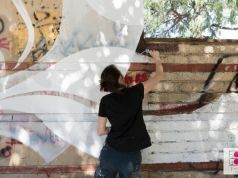 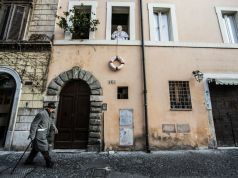 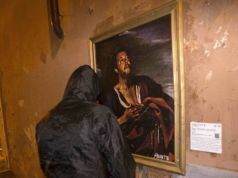 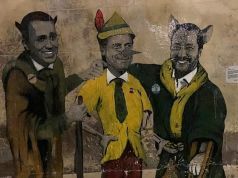 However on closer inspection the work reveals itself to be an attack on capitalism, a bitter response to inequality and social justice: all themes close to the heart of the Rome-based artist. 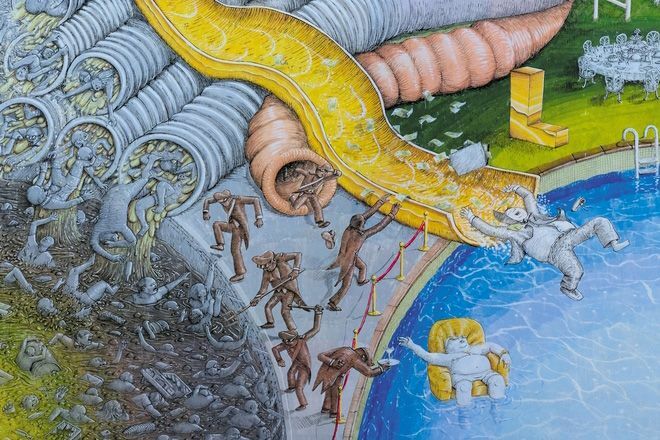 The allegorical mural is divided in two: the gold water slide to the right lead to a luxurious swimming pool for the chosen few, the pipes to the left lead to a sludge pit for the many. 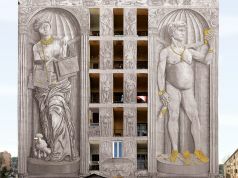 Last year Blu created a massive mural in Quarticciolo, another east Rome suburb, featuring a bling-laden Venus and David, confronting themes of ostentation and narcissism. 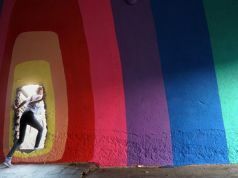 Although ranked in the world's top ten street artists by The Guardian, Blu remains an outside figure among his peers. 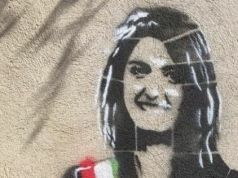 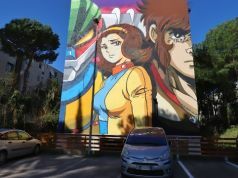 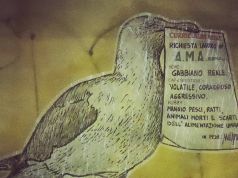 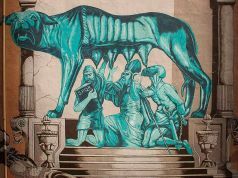 For more details of Blu's latest Rome mural see the artist's Facebook page while for insights into the capital's street art scene check out Wanted in Rome's guide to street art in the capital.